A 4500 sq. 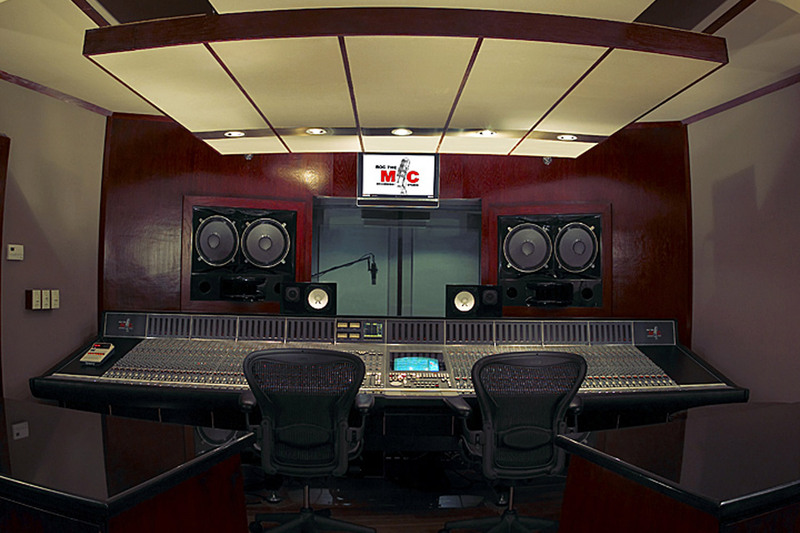 foot, full-floor studio complex, Roc the Mic is highlighted by fully networked, spacious twin control rooms featuring SSL 9000 J and 4000 G+ consoles, plus a high-end Pro Tools production suite. 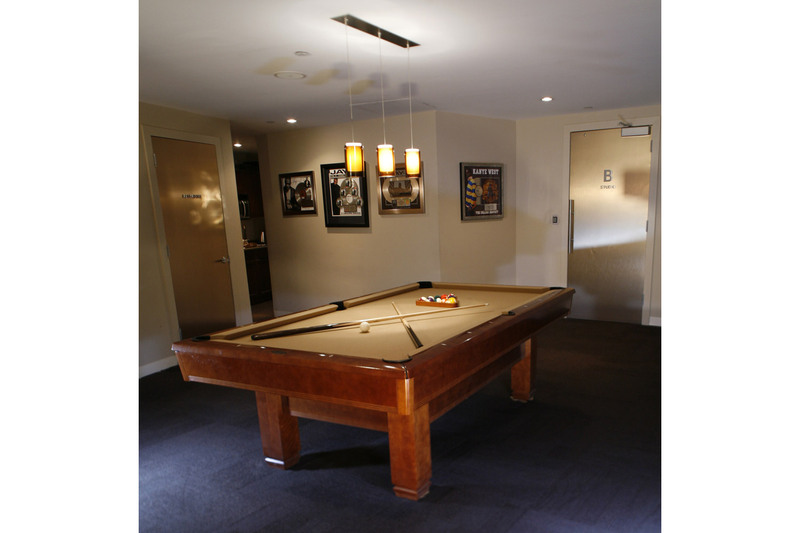 All three rooms aim to set powerful new benchmarks in power and accuracy with custom Augspurger monitoring systems. Designed to meet Jay-Z’s standards for elegance, RTM is a study in 21st Century luxury and comfort. 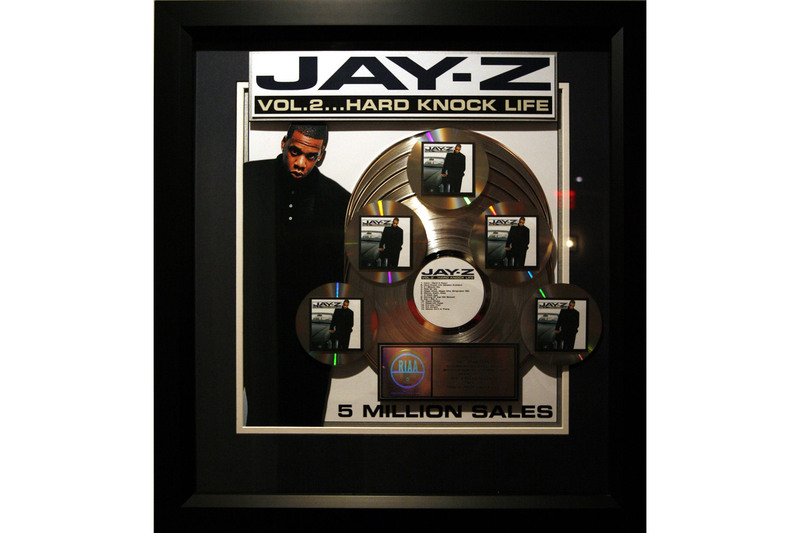 Centered on a massive communal lounge and flanked by private client areas, all ensconced in dark wood for a warm, rich environment, it quickly became one of the world’s hottest hip hop and R&B production studios. 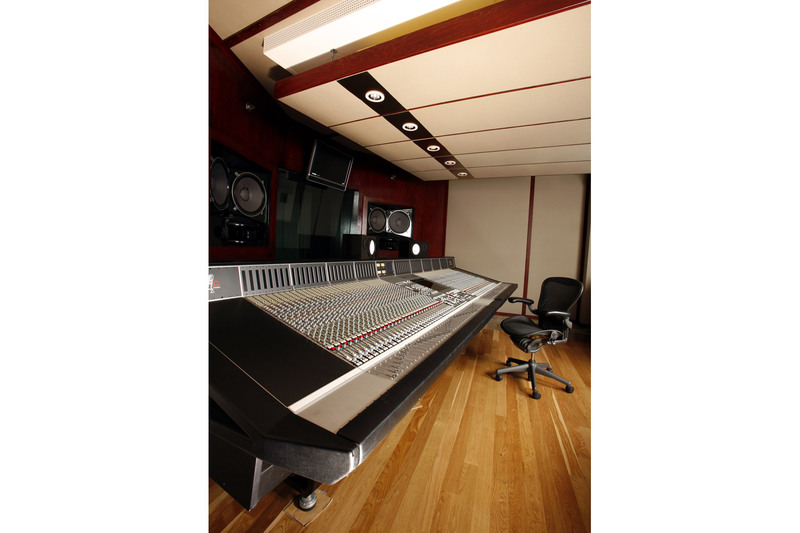 The WSDG team was committed to providing a great-sounding, extremely comfortable space totally conducive to a smooth workflow. 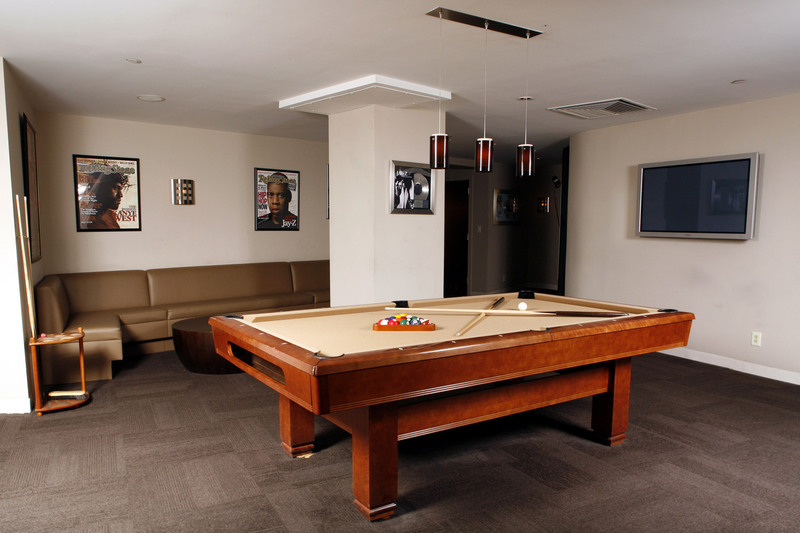 WSDG principal architect/acoustician John Storyk has designed studios, for superstars ranging from Aerosmith to Alicia Keys’ “Roc the Mic co-owners Juan Perez and Jay-Z’s successful 40/40 Sports Club set the standard for their level of excellence here,” Storyk says. 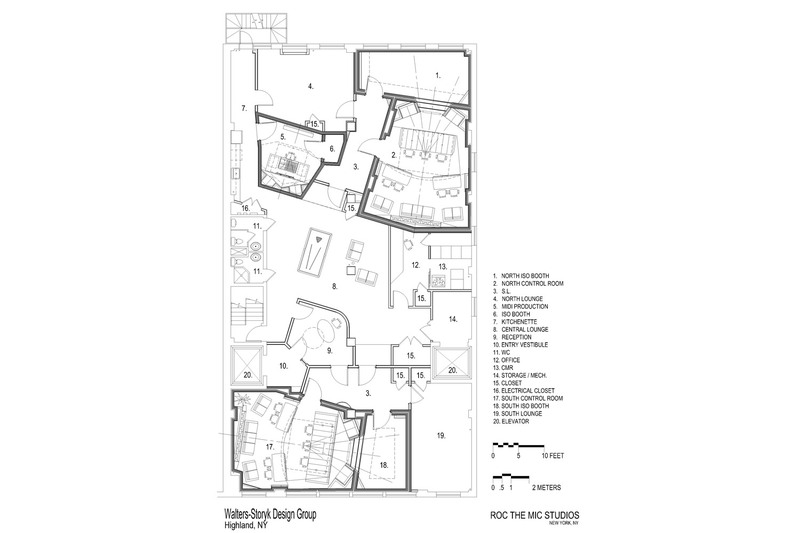 “It was clear from the first day that this studio had to pay equal attention to aesthetic and acoustics.” WSDG worked closely with Juan Perez to develop a design program focused on twin, creature-comfort-heavy, 500 sq. ft. control rooms. 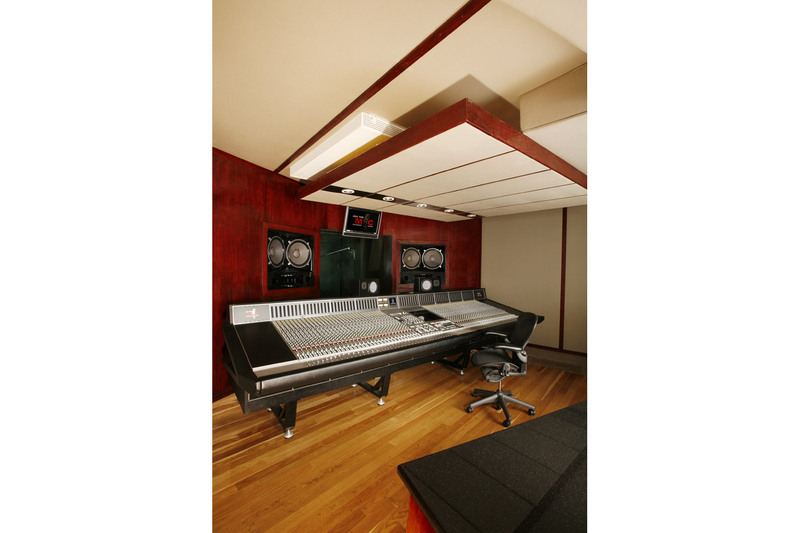 Custom ‘split-island’ producer desks and generous ‘hang space’ meet the rooms social requirements, while the oversized iso booths can accommodate sessions for vocals, horn, guitar, and drums. 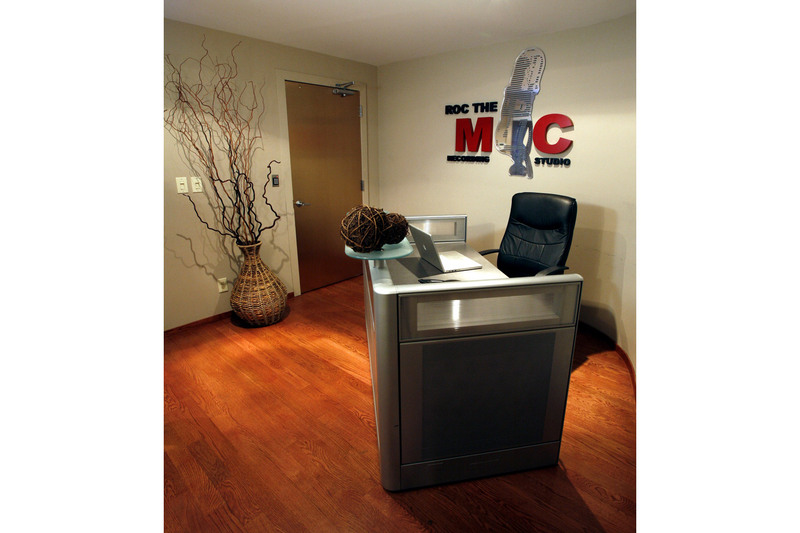 Supported by an extraordinary holistic technology package, wire management, and installation, overseen and coordinated by WSDG, Roc The Mic represents the ultimate creative environment for contemporary music production. 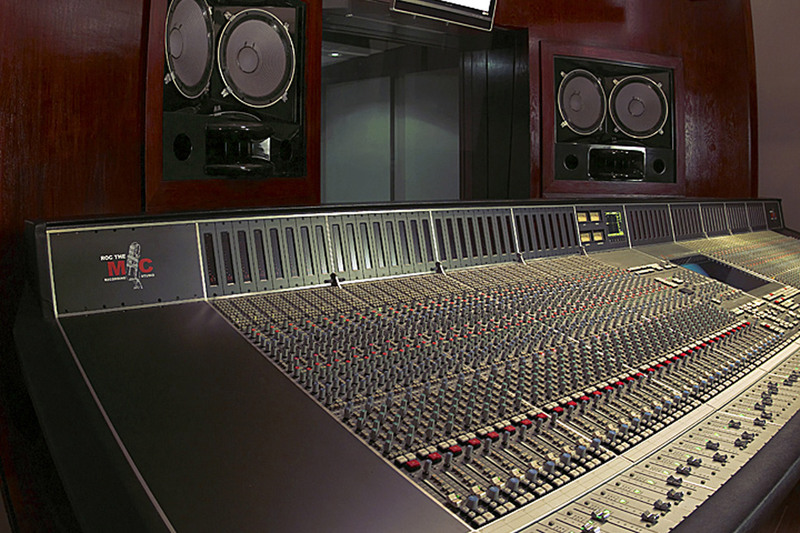 The SSL 9080 J was procured from the Hit Factory’s Studio One, where it recorded hundreds of hit hip hop, R&B, rock and pop records. 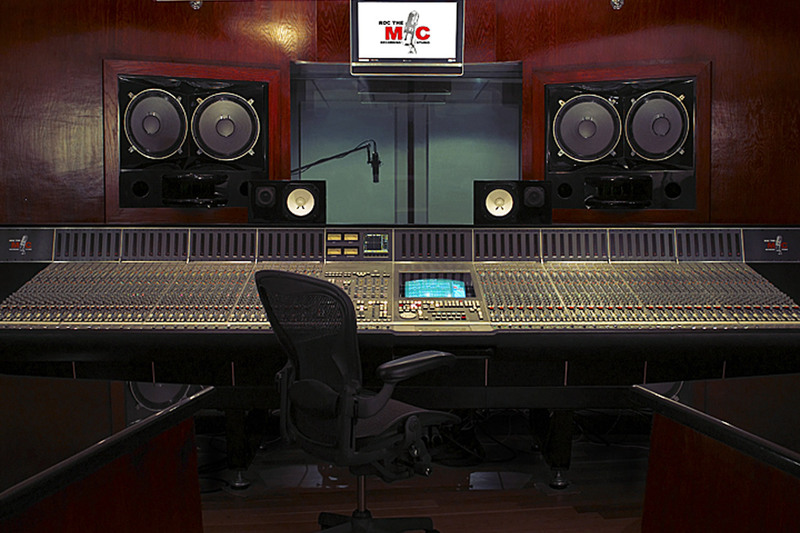 WSDG worked directly with George Augspurger to build and specify the main monitoring systems, the custom-fitted package consist of dual 15” drivers with horns per side, as well as dual 18” subs, all driven by thousands of watts of Bryston power and controlled by XTA digital speaker management.